Luxurious, perfect, 100% original, handicrafts chocolate brands CHOCOME - that's right sweet temptation, which shall be in the form of flowing chocolate on your tongue just can not resist .... Privoňajte to clean smell amazing chocolate CHOCOME , Feel beautiful scent of fresh fruit or different kinds of nuts in it and enjoy the beautiful color combination of dark, milk and white chocolate, which forms the basis of the famous Belgian Callebaut chocolate. Each chocolate is hand made, hand-decorated and well packaged original - thanks to the luxury package and a unique, elegant look of chocolate is chocoMe perfect gift . 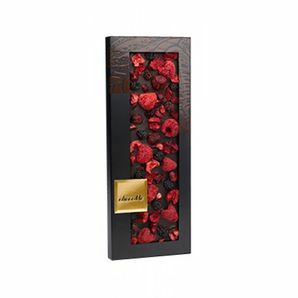 Man, you want to give a present will not only wonderful pleasure of exceptional taste of chocolate, but also a beautiful visual experience, so your gift will really be able to enjoy all the senses. 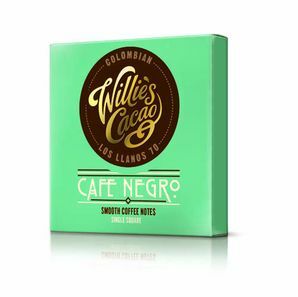 Also available is Willie's Cacao - real, honest plantation chocolate from Mr Willie Harcourt-Cooze which in 2008 was declared "chocolate Person of the Year", author of the book "Chocolate Bible, which became in 2011 the cook of the year. 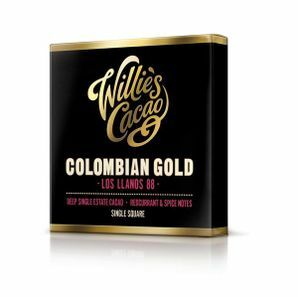 Chocolate Willie's Cacao one of the few in the world are dedicated to producing chocolate from cacao cultivation to the finished product. No less interesting are popular chocolate delicacy delicious chocolate and caramel cream Grashoff German company with an incredible tradition since 1872. 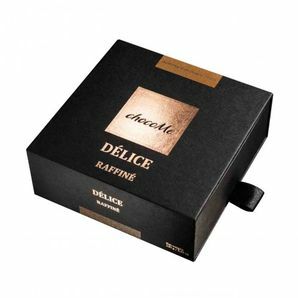 Chocolate creams are suitable for cakes, pancakes, to tart cream but just for the gourmet spoon more pleasant day. 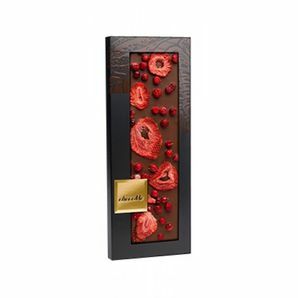 chocoMe ChocoMe - Milk chocolate 40%, strawberry, red currant, 110g Taste interesting connection handicrafts milk chocolate, pieces of freeze-dried strawberries and red currant you would have obtained the first bite. Balanced taste and pleasure to the eye will not disappoint any lover of chocolate. chocoMe CHOCOMA - Dark Chocolate 66% pecans, almonds, black currant 110g Handmade dark chocolate (65%) with excellent pecans, almonds and freeze-dried black currants. 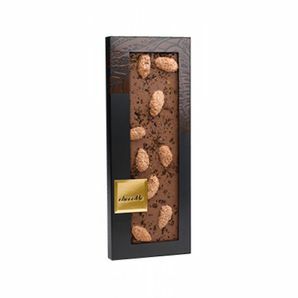 Bravura great combination of chocolate, nuts and fruit. 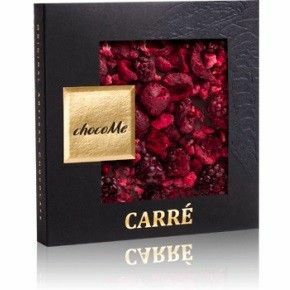 chocoMe CHocoMe - Dark chocolate, blackberry, cherry, raspberry, 50g Handmade dark chocolate (66%) Valrhona in conjunction with the fruitiness of freeze-dried cherries, raspberries and blackberries. Taste experience, which is not only better read! 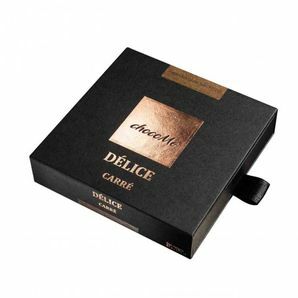 chocoMe ChocoMe Délice Carré 72.2% dark chocolate, 50g Taste right, honest chocolate combines the pleasure of chocolate sensation without obtrusive taste of cocoa and a strong flavor of red fruit with a pleasant long-lasting aftertaste. 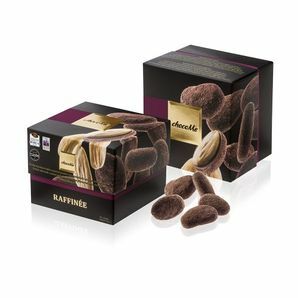 chocoMe ChocoMe Raffinée Almond in dark chocolate with flavor of Arabica coffee and cardamom, 120g Irresistible Sicilian almond dipped in chocolate cover flavored roasted arabica coffee beans and sprinkled with cardamom powder. GRASHOFF White chocolate cream ,, Pure pleasure", 250 g, zn. 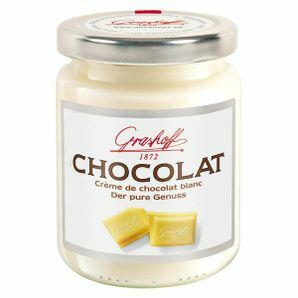 GRASHOFF Pure white belgian chocolate, fine white chocolate cream for lovers of white chocolate. The cream, which you will appreciate the chocolate-coconut cookies, but also in combination with cookies, and cake on. GRASHOFF White chocolate cream Latte Macchiato, 250 g, zn. GRASHOFF A delicious combination of delicate white čokokrému coffee latte macchiato. Fantastic taste of shortcrust pastry, brioche, butter biscuits or separately as exceptional goody. 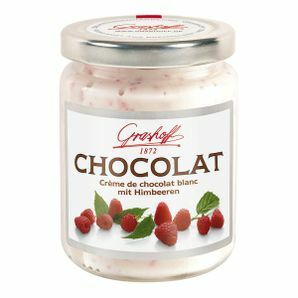 GRASHOFF White chocolate cream with strawberries, 250 g, zn. 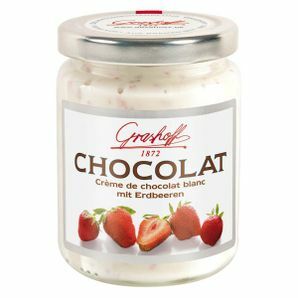 GRASHOFF Great combination of Belgian white cream with pieces of strawberries is Delikateska that you'll love. Tastes great separately, but also for example with a piece of chocolate cake. GRASHOFF White chocolate cream with coconut and rum flavor, 250 g, zn. GRASHOFF Exotic taste delicious combination of white Belgian čokokrému with coconut and rum flavor is exceptional caress your taste buds. Fans of coconut flavors are sure to come into their own. Great companion for espresso and chocolate cookies. 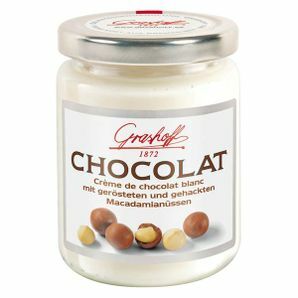 GRASHOFF White chocolate cream with macadamia nuts, 250 g, zn. 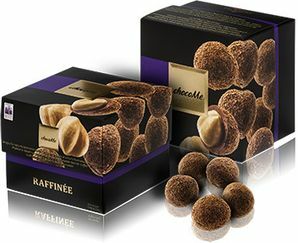 GRASHOFF Irresistible combination of roasted macadamia nuts with a delicious creamy white chocolate. Sleek Belgian chocolate cream and flavor of roasted peanuts is a link that will please lovers of white chocolate. 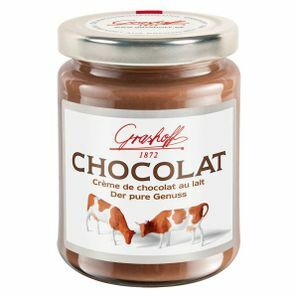 GRASHOFF Milk chocolate cream, Pure pleasure ", 250 g, zn. GRASHOFF Great goody for children and adults. Genuine Belgian chocolate cream, pure taste of chocolate - pure pleasure ... it is universal for fresh pastries, pancakes and the best with a spoon in his hand. 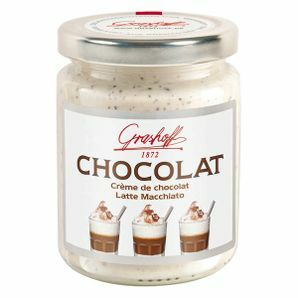 GRASHOFF Milk chocolate cream Cappuccino, 250 g, zn. 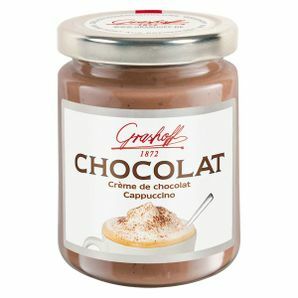 GRASHOFF A delicious combination of Belgian chocolate cream flavored cappuccino. Čokoládkový milk cream, which you will appreciate after a day even in moments of snacking. GRASHOFF Milk chocolate cream with cocoa puffs, 250 g, zn. 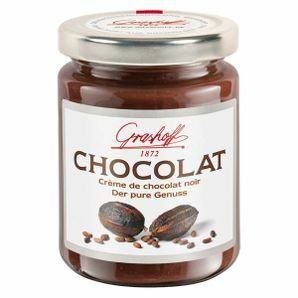 GRASHOFF The fine flavor cocoa chrumiek wrapped in delicious Belgian chocolate cream with the scent of caramel. A very desirable combination of crunchy cocoa bits and smoothing chocolate. 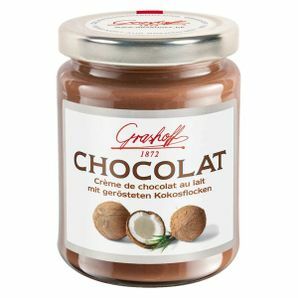 GRASHOFF Milk chocolate cream with coconuts, 250 g, zn. 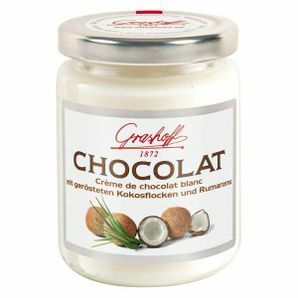 GRASHOFF Roasted coconut flakes in a delicious Belgian chocolate cream. Joy for every lover of chocolate delights, tastes great alone, but also appropriately adorned with freshly baked dessert or cake. 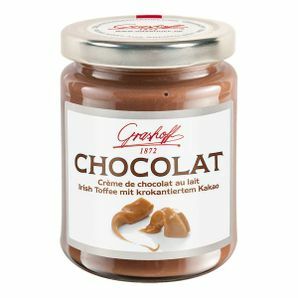 GRASHOFF Milk chocolate cream with hazelnuts, 250 g, zn. 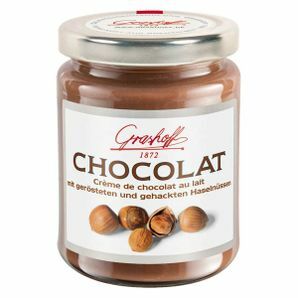 GRASHOFF Proven excellent combination of Belgian chocolate cream with hazelnuts - this is the real chocolate treat. Excellent chococream, which you can start the day with joy. GRASHOFF Dark chocolate with banana, 250 g, zn. 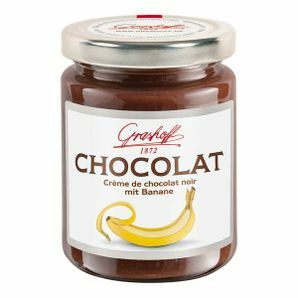 GRASHOFF Delicious dark chocolate cream with banana flavor. Belgian chocolate into whipped light cream with banana taste. GRASHOFF Dark chocolate with Mint cream, 250 g, zn. 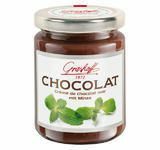 GRASHOFF Excellent dark chocolate cream flavored with refreshing mint. A delicious combination of dark Belgian chocolate cream and fresh mint tastes great with crusty bread or as a sweet spot for lunch ... for the right chocoholika There is no greater joy. Willie´s Willie's - Dark chocolate 72% Venezuelan Gold RIO CARIBE, 50g Venezuelan gold - chocolate, which is highly valued, extraordinary and full of true flavor - tone unadulterated, unvarnished dark chocolate with fruit-almond sensations. 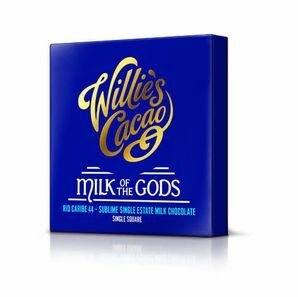 Willie´s Willie's - Milk Chocolate 44% Milk of Gods Rio Caribe, 50g Divinely delicious milk chocolate. 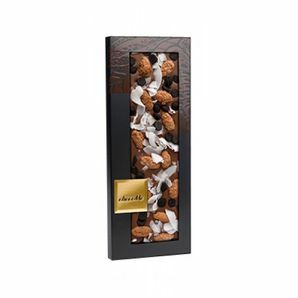 Nachajte be carried away on a wave of milk chocolate subtly sweet flavor with a hint of nuts. cocoa beans from Venezuela and milk from Britain blend together perfectly, just taste.